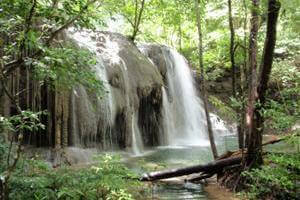 It is believed that Sumbawa was formed when both ice continents melted. There were many people who moved to Sumbawa for their previous island began to sink. Most of those immigrants were originally from Sanggar Peninsula. 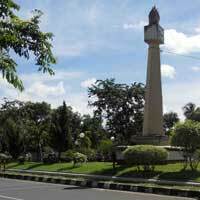 Sumbawa used to have 4 small kingdoms on the western sides which were under Empayar Majapahit from East Java. Sumbawa was also attacked by several foreign powers such as Japanese, Netherlands and Makassar. Netherlands once occupied Sumbawa in 1605 and in the 20th century Sumbawa was occupied by Maharaja Bali of Gelgel though just not for long. The nature of Sumbawa is still unspoiled and the people still preserve their ancestors' tradition. You can go to Tepal village to see the daily tradition kept preserved by Sumbawa people starting from how they get dress or the architecture of the houses. Just like other cities in Indonesia, Sumbawa also has a unique Dalam Loka Palace for this palace is made of woods. In this palace, you can see many inheritances of Sultan Jalaludin Syah who one ruled Sumbawa. If you want to see a beautiful sunset, you can go to Kencana Beach. The view is also beautiful and this beach is already completed. The main destination in Sumbawa is Moyo Island. This island has a complete package to attract tourists. Both beach and underwater view are gorgeous. 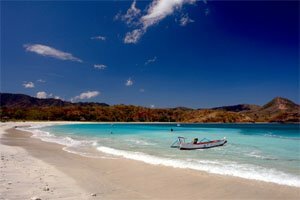 One beach in Moyo Island which is suitable to dive and snorkel is Ai Manis Beach. There are also Sili and Maci Beach which are both the paradise for surfers. There's even a world-class annual surfing competition held at those beaches. Sumbawa is rich of fish, the fishes are already exported to many other countries. There are many foods you can find in Sumbawa made of fishes, one of them is singang. This food is like fish curry but singang is a bit sour yet refreshing. Another one is ikan kuah sepat made of roasted fish with mixed of eggplant, unripe mango, aru leaves, cucumber and wuluh starfruit broth. The way eating this food is also unique, you need to shred the roasted fish then dip it into the broth and tomato condiment. The last but nor least is gecok. Gecok is made of either sauteed innards beef or meat and mixed with flavored coconut. Need place to stay in SUMBAWA?